Bruce Willis and Emma Heming, his wife, have recently purchased a stunning mansion in the Brentwood region of California. This mansion is so big that it has seven super luxury bedrooms and five large-sized bathrooms, all spread across half an acre of land. Reportedly, the pair purchased the property for a staggering $9.8 million. The amenities which the mansion provides its occupants are outstanding as well and include a fully equipped chef’s kitchen, a personal gym, a home-based movie theater, elevators, and, of course, a spa which has a steam room and a sauna built into it. The mansion also has a sunken pool. 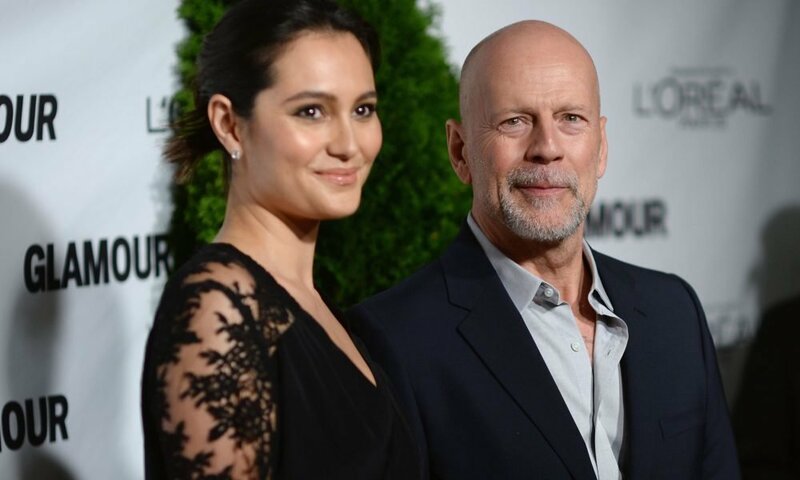 Bruce Willis tied the knot with Emma Heming back in 2009. Guarded by a beautiful gated entrance, the front entrance of the mansion opens up into a hallway which is very airy as it is almost double the usual height. The wooden flooring is made from pine wood and a beautiful chandelier hangs around in the center. There is a corridor that connects the hallway with the living room which is situated at the back of the house and decorated with a beautiful marble-made fireplace and an elegant dark-wood bookshelf. There is also an eye-catching patio area on the backside of the living room which can be accessed through a sliding glass door, and a well-maintained lawn, as well as a pool, are both located just beside this patio area. The first floor of the mansion has a very formal-looking dining room built for entertaining guests. It has two chandeliers and a wine cellar containing wines preferred by both Heming and Willis. There is also an office space on the first floor with a beautifully embedded bookshelf. The master suite is built on the second floor and has a black-colored marble fireplace and a sitting area. There is a glass slider in this bedroom which connects with the veranda that offers beautiful scenery of the lawn. The bedroom designed for the children is outstanding as well. It has twin beds with a doorway that also opens up into the veranda, just like the master bedroom. For sure, the outlook of their new Brentwood mansion is as modern as possible. The bathroom which is accessible through the master bedroom is very luxurious in itself. It has a very comfortable bathtub and a glass-separated shower area. Almost all the structural components of the bathtub are made of super-quality marble. The back side of the mansion has two sunken pools which have two cabanas beside them, seated to ensure a comfortable dining setup while also allowing people to enjoy the outdoor weather. One cabana has a yoga studio inside of it with glass doors. The spa area is situated slightly below the mansion’s ground floor level and is completely made of marble fixtures and floorings. It has a mini spa, a steam room, a bathroom, and a sauna. The home theater system built inside the mansion is sophisticated enough to entertain 12 people at the same time without compromising on viewing quality. The purchase of the Brentwood mansion was definitely well-planned, considering the fact that Willis had sold several properties last year, including this New York retreat. The purchase of this mansion is one of the decisions that Bruce and Emma made last year. They made other key real estate decisions as well, which include selling a duplex near Central Park for around $17.75 million and a condo located around Lincoln Center for around $7.9 million. While much of their NYC property has been sold, the family still owns a sizeable property in the city.